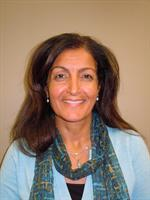 Dr. Zaki is a very nice and thorough neurologist that will listen to your concerns.I would certainly recommend her. Their office was one of the quietest, most peaceful places I've ever visited. I was able to relax very easily. Every time I'm put on hold here I have to wait quite a while for them to get back to the call. Although I have had to wait longer at other places, I was still pretty unimpressed with their phone etiquette. The restrooms at this provider's office were clean and well-maintained. You could tell that they cleaned them regularly. I will definitely recommend them to people I know. Their equipment was super advanced and sophisticated. I was very impressed with how high-tech everything was. Every time I come here they always remember me by name and greet me. They are very compassionate and thoughtful. I enjoy the office, it's peaceful and has a really nice cofee/tea area. I love that they are always more than happy to answer my questions, and actually welcome questions. I've felt more of a burden at some other places. However, here that is definately not the case. Everything Dr. Zaki explained to me in the beginning ended up turning out exactly that way. Dr. Zaki is so easy to reach in an emergency, they answered my call immediately. I feel as though I can count on them when needed. She has a very nice staff that's very knowledgeable and qualified especially the medical assistant Jerry, he is great! I would definately tell people to try her out.